The papers, cardstock, ribbon, and crystals are all in the December KI kit. This gorgeous paper line is from We R Memory Keepers. 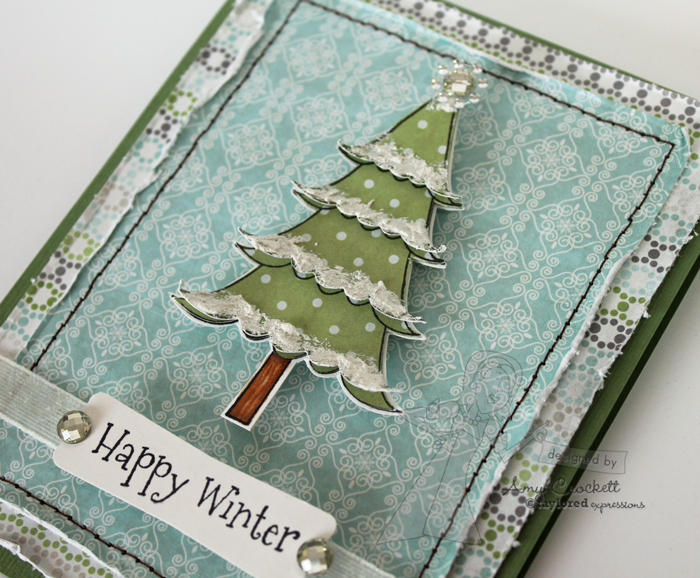 I stamped the tree with the Woodland Winter from Taylored Expressions. 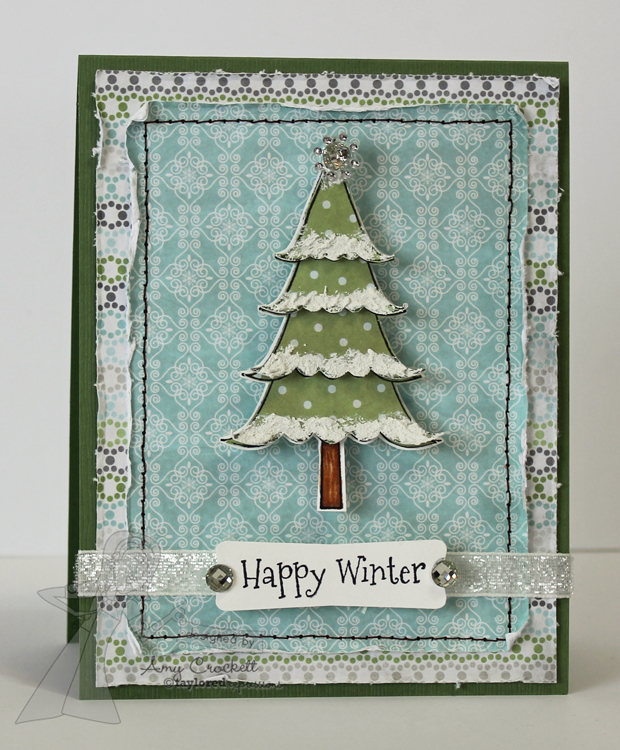 I used the Snow Writer from DecoArt for the snow on the tree and I added some distressing and stitching to the patterned papers. I have a few more to share a little later that uses this kit.......I really love it!! Such a sweet tree card Amy! This is so beautiful, Amy! I love the colors and the stitching! Amy ~ What a BEAUTIFUL and ELEGANT looking card! I LOVE the soft colors and what you did with the tree!! LOVE the distressed edges too! Gorgeosu as always!! Sending you hugs too! So precious! Love your tree card, and especially the tree image! Great stamps!